If there’s one thing to remember about me, it’s that I’m almost perpetually sick with one thing or another. Last month it was a runny nose; this month’s ailment is a dry cough and a headache. 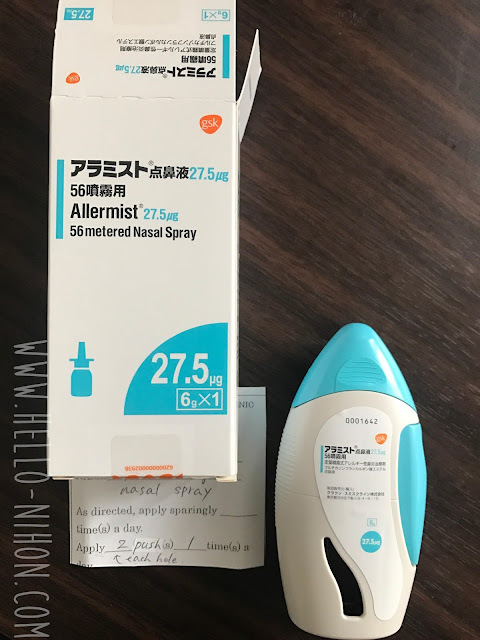 Despite this, I only went to the doctor in Japan for the first time last month. 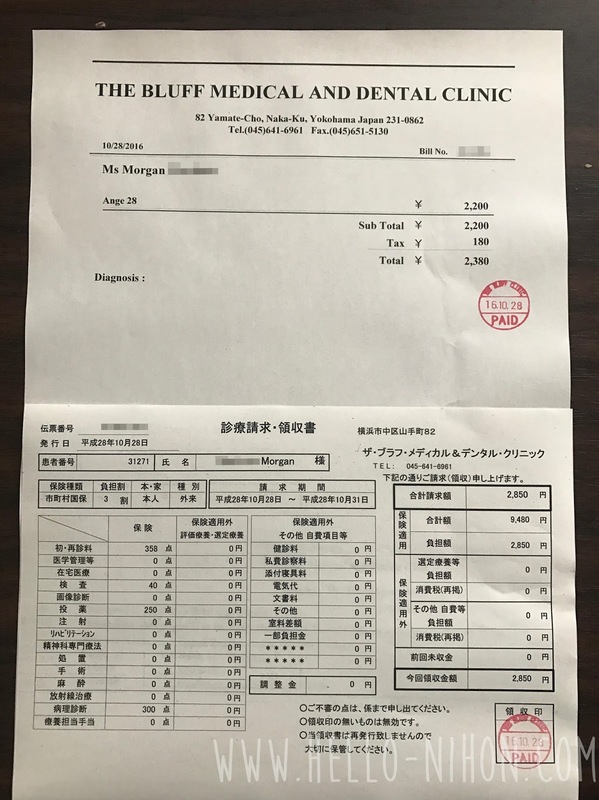 Since I arrived in Japan, I’ve been enrolled in the NHI (National Health Insurance) program, which covers a good amount of my costs (around 80% for most things) for a premium of 800 yen a month (though your total may be different, as it’s based on earned income). However, growing up in the US has made me a bit hesitant about any sort of medical treatments/payments. I finally bit the bullet because the antibiotics I brought from home (I’m definitely not endorsing self-medicating) and I had been suffering from a clogged/runny nose for almost 7 months. 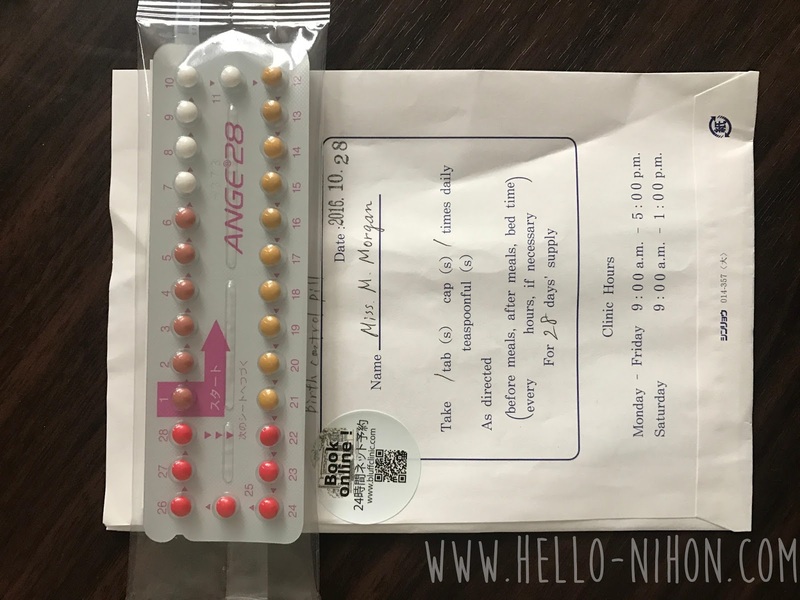 I also decided I needed a woman’s health check and I wanted a prescription for birth control pills, because I was almost out of my Korean ones. My first challenge was finding an English speaking doctor, preferably educated in the West as well. I didn’t want to do my dealings in broken Japanese, especially something as important as my health. 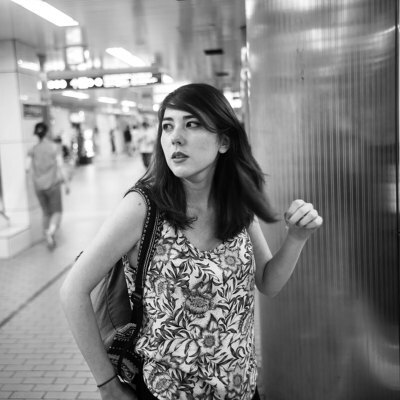 I also wanted a Western-educated doctor because my previous experiences with Japan-educated doctors were pretty bad… Once, I had a UTI and went to the doctor. I explained my symptoms (I already knew it was a UTI) and when I told the nurse that it hurt when I pee, she laughed. After that unprofessionalism, I was done. I took to Google to find an English speaking doctor. There are a few resources out there, but I found them to be a bit dated and completely unrelated sometimes. Thankfully, I live in a pretty big city so it only took me a couple different Google searches to find what I was looking for. If you didn't know, Japan has a lot of specialists. So you need to know what your general symptoms are and see a doctor who specialists in respiratory problems, for example, if you're having trouble breathing. However, this wasn't the case for me. I had a cold (internal medicine) but I found a general practitioner who covered all the bases. (They also had a dentist on staff so it really was completely covered.) As a tip, when you search, it's more helpful to use the word "clinic" when looking for a place because that's the common term used in Japan. Making my appointment was a breeze because the receptionists all spoke English. However, I could also make online appointments (very rare here) if I didn't feel like talking. This is a bit of an anomaly because many times the doctors you find online don't work at full English clinics. Usually online information will give you the name of the doctor and where he/she works, so you can call the Japanese clinic and ask to make a specific appointment with the English speaking doctor... Usually making the appointment in Japanese unfortunately. My appointment went surprisingly well. I filled out a first-time visitor's paper, showed them my insurance and ID (they photocopied both) and I was seen within 5 minutes of my original appointment time. The doctor was great. He asked what I needed, and I told him the purpose of my visit. He did the gynecological exam first. I was surprised it was the same doctor who could do it. There was even an exam table for that kind of thing in the room we were speaking. Then after, I told him about my nose and he asked me a few more questions, then prescribed me some medications. When I left the doctor's office, I was told to wait in the waiting room. They filled my prescriptions right then and there, and billed me as well. 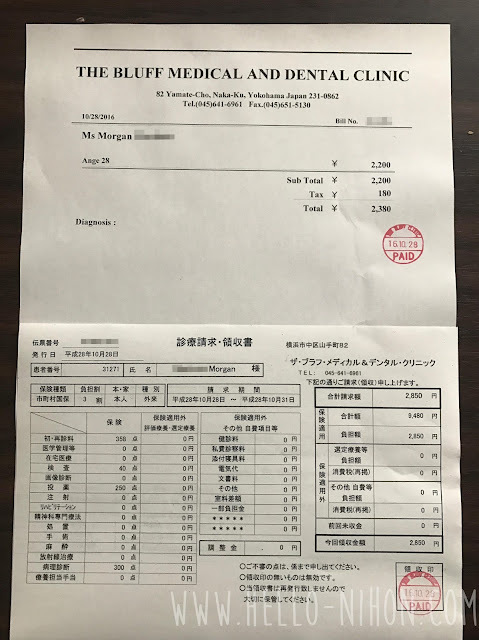 They had a credit card option and an option to pay incrementally, but my total was only about 5,000 yen (!!!) so I paid it all at once. This was including the first time visit fee, the two exams, a month of birth control, and my nasal spray prescription. I was shocked at how cheap it was. I surely thought there was going to be a crazy premium for everything being conducted in English. Apparently, their prices are pretty comparable to Japanese clinics, according to someone who actually called around asking. So don't write off an English clinic because you think there's going to be a "gaijin tax".